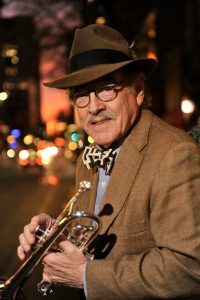 The Jim Cullum Jazz Band plays jazz in the classic manner, that is, in the style of small, hot ensembles prior to WWII. The band’s repertoire covers a lot of ground–from 19th-century cakewalks to the small pre-war Benny Goodman ensembles. The core of the band’s music consists of the sounds of Jelly Roll Morton, Original Dixieland Jazz Band, New Orleans Rhythm Kings, King Oliver Creole Jazz Band, Louis Armstrong, and Sidney Bechet, as well as a heavy emphasis on Bix Beiderbecke and Hoagy Carmichael.